Urbanimmersive Technologies Inc. ("Urbanimmersive Technologies") (TSX VENTURE:UI), today presented its audited consolidated financial results, including those of Urbanimmersive Inc. ("Urbanimmersive" and, collectively with Urbanimmersive Technologies, the "Corporation"), its wholly owned subsidiary, for the year ended September 30, 2014. "The 2013-2014 financial year was marked by sustained efforts to commercialize the Corporation's immersive technology in the real estate market " said Ghislain Lemire, President and CEO Urbanimmersive Technologies. "In this regard, during the second quarter of the financial year, the Corporation has launched a new real estate portal (www.avu3d.com) presenting exclusively immersive tours of properties for sale. The main objective of the portal is to promote the immersive technology of the Corporation. The mediatisation of the portal was initially supported by a television campaign. The new portal is a success and is used by a large number of visitors each month. Ultimately, the Corporation wishes to monetize traffic of home searchers using the web site." "The www.avu3d.com portal has also served as model of success for the APCHQ (the Association of Professional Construction and Housing of Quebec). 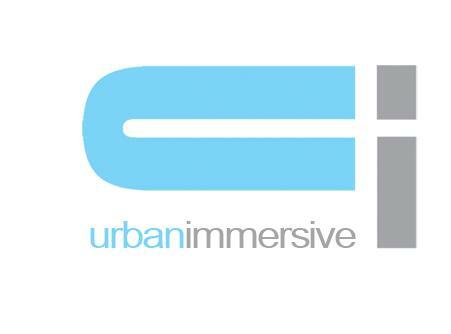 Indeed, following the launch, Urbanimmersive has been mandated to develop a similar web site for the Association (www.apchq3d.com). The delivery of the portal was done during the first quarter of the 2015 fiscal year. The APCHQ, with 17,000 members, is supporting the marketing of its portal with an intensive television campaign bringing an excellent visibility for the immersive technology of the Corporation." "Two new platforms have been launched during the last quarter of the fiscal year 2013-2014: a transactional marketplace allowing real estate agent booking and paying online photographers as well as a blog platform designed to forefront the immersive technology." "The Marketplace has been well received by the market and discussions are underway with partners of the Corporation's for the integration of the solution into their business processes. The Marketplace is a productivity solution for real estate professionals. It simplifies the booking and billing process related to photographers' services. For Urbanimmersive, it allows to monetize the transaction between the subscribers and to promote its immersive virtual tours." "For its part, the new fully immersive real estate blog platform (see www.urbanimmersive.com) shows encouraging results. Traffic on the blog posts is generated from search engines, viral nature of social networks and referrals from web sites using Corporation's immersive technology. The immersive technology of Urbanimmersive is well-suited for its application in a blog context. The high quality of images used in immersive tours and the no download time to start an immersive experience are important criteria on the web and on smartphones. Those aspects increase reader engagement and increase the potential of advertising monetization." "The demand for blog content is currently a strong trend on the web. The real estate market is no exception to this trend. Combined with the benefits of immersive images, the new blog platform of the Corporation has a clear differentiator for real estate portals wishing to integrate a blog on their websites. In this regard, discussions are currently underway with Urbanimmersive partners to integrate the new blog platform in their real estate portals." "With these two new platforms Urbanimmersive is well positioned to seize new business opportunities related to the production of real estate marketing content." "The Corporation has financed its business development initiatives through three successful fundraising totalizing $1,848,116 of which $500,000 was finalized in October 2014, just days after the 2014 fiscal year end. La Caisse de dépôt et placement du Québec, two other institutional funds and Directors of the Corporation have participated to those rounds." The Corporation's revenues have decreased from $885,886 to $650,740 a decrease of $235,146 or 26,.5%. This decrease is mainly due to a reduction in 3D product revenues of $261,022 due to sales efforts that have been focused on the deployment of AVU3D® immersive visits in the real estate market with affiliated real estate agencies. The Corporation incurred a gross loss of $43,750 or 6.72% compared to achieving a gross profit of $127,392 or 14.38% for the same period in 2013, a decrease of $ 171,142 or 21.1%. This decrease in gross margin is due to the fact that the Corporation had to bear the production costs of AVU3D® immersive tours while revenue recognition will only take place if there is a sale of the property. The Corporation withdrew its risk free offer in the third quarter 2014, since the revenue recognition occurs when the immersive tour is produce. Operating expenses totalled $1,605,254 compared to $2,122,312 for the same period of 2013, a decrease of $517,058.or 24.36% due to a decrease in selling expenses of $26,580, to a decrease in Administrative expenses of $469,074 and in research and development expenses of $21,404. Other expenses totalled $34,054 compared to $1,341,164 for the same period of 2013, a decrease of $1,280,110. This decrease is due to the recognition in 2013 of a stock listing exchange expense of $1,181,417, and of a loss on amendment of a convertible debenture of $99,187. These elements are directly related to the completion of the Qualifying Transaction of the Corporation. As of September 30, 2014, the Corporation had a cash position of $50,781 and a working capital deficiency of $372,880, compared to a working capital deficiency of $188,557 as of September 30, 2013, a decrease of $184,323. This decrease is mainly due to the decrease in trade and other receivables which were $150,151 at September 30, 2014 compared to $324,971 at September 30, 2013 a decrease of $174,820. The Corporation manages its capital structure and brings about adjustments related to changes in the economic environment and underlying risks of its assets. To preserve or modify its capital structure and to carry on the development and commercialization of technology and fulfill its various financial obligations, the Corporation may issue additional common shares or negotiate new loans. The Corporation has prepared a budget for 2015 using assumptions that management considers reasonable. Achieving budgeted results depends mainly on the increase of sales, compliance with the gross operating margin forecast and control of general and administrative expenses. Management expects to meet its budget and have sufficient liquidity to fund its operations at least beyond September 30, 2015 following the financing of $500,000 finalized on October 23, 2014. Although management believes it has developed action plans to manage liquidity risk and operational, there is no assurance that these measures will be successful.